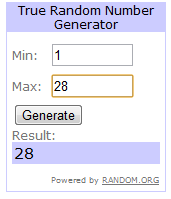 I got only 28 entries for this giveaway & the winner is the lucky last entry. LazyDays. Heartiest congratulations to the winner. The lovely people of sunglasses shop will contact you shortly.